Extended summary and sample translation in French available. Kleio and Nikitas are both 17 years of age, schoolmates, at 12th grate. Their love relationship began last year, but still remains platonic. At home, they have to deal with problematic situations. Their parents do not understand them -or so they feel. Both Nikita' s ank Kleio' s first semester's grades were very low, a fact which created conflict between and both of their parents. Nikitas, trying to earn some money in order to be able in the future to live far from his parents, begins to work at a pizza shop. Day by day he becomes quarrelsome and aggressive with every one. He even behaves badly toward Kleio. She suffers, but forgives him and makes an effort to sympathize. They both sense that their relationship is holding on from a string. During this time, Elli Kolleti, a young substitute teacher, is appointed at their school. She is friendly with the children, but insecure and fragile as a human being. Her presence in the school will act as a catalyst for Nikita's s and Kleio' s thoughts and feelings. Elli will approach Nikita and Kleio, and convince to begin a research all together, of the life (as well as his mysterious way of death) and artistic work of a great actor. Loukas Alexiou. Elli Kolleti had seen Louka Alexiou only once in her life, when she was a student. But she never forgot the way that Alexiou was playing the role of Leonardo in Lorca' s <>. They begin their research in old newspapers an d magazines. All of the articles that they found refered solely to his unique and incredible talent as an actor. Nowhere had they found reference to his life or personality. During this research that the three individuals are out to complete, entanglements will be born and revelations will take place. Certain individuals will try to take them out of their route, and others will give them the "key" for the enlightenment of the mystery folding the life and death of Loukas Alexiou. Nikitas and Kleio find themselves drowning in this charming voyage. And they want to find out the whole truth. And as they approach the roles that Alexiou had acted (roles like Romeo, Othello, Hamlet, Orestis, Oedipus, Osvald etr) they understand that there is and an other way of life apart of that they used to live. The appearance of the mysterious Mrs. Alexiou -the mother on the known actor- leads impetuously to the redeeming solution of the myth. Elli Kolleti finds a new way of living. Kleio and Nikita feel content and happy to have made this "voyage". And within it they entered adulhood. Reading Manos Kondoleon’s long novel Mask on the Moon I experienced a strange physical sensation. Some texts, you know, are like people. They talk, they move, they make gestures, they touch. There are books addressed to children and young people that stroke their readers, and others that hold their hand tightly, sometimes a little unpleasantly, trying too hard to guide them. And then there are others that we usually call “punch in the stomach” books which many would not consider suitable reading material for young people. Manos Kondoleon’s book is none of the above; it’s something different. Something like a tap on the shoulder to wake you up, or a secret code, or something like a skillful, resolute and measured push over the threshold of life, or rather into the dark and labyrinthine corridors of adolescence, where traumatic experiences, shadows and ghosts are lurking. It is a push along the path that ends in adulthood, self-knowledge, reconciliation with things, with others and with ourselves, and in the beginning of maturity, not only in age, but in all senses of the word. The word “maturity” is of course the distant point towards which the heroes of this novel are converging, but at the same time it may also be the book’s most characteristic feature. Because this book is above all a mature work with which the author has chosen to address young adult readers in particular. And if, by the word “mature, we mean structure, balance, mastery and control of the medium and material, and the matching of opposite elements, I’d say that Mask on the Moon is a mature work, in which structure is carried to the ultimate, the utopian element is laid bare, approaching and identifying with the practical. We can observe this intertextually as a historical phenomenon in the 19th century, the late golden age of British children’s literature, or intratextually in the evolution of writing by authors with the stature of, say, Lewis Carroll. Relatively speaking, considering the distance in space-time, the same phenomenon can be observed in the writing of Manos Kondoleon. I compared two relatively recent books of his – totally different books, at first glance – in my effort to explain this. First Magic mother, a thoughtful, dream-like, timeless, and profoundly lyric text. Then Taste of bitter almonds, a story based on a modern problem and in this sense realistic, where the everyday occurrences and ordinary speech in all their sharpness are expressed with self-restraint and consideration. In Mask on the Moon, on the contrary, the utopian, which belongs to the past but which has become haunted and magnified so as to touch the fantastic, is always placed in a more or less obvious contradistinction with the real, the tangible, the present and the everyday. Speaking in a somewhat scholarly way, I’d say that the term “fiction”, as used by the late Cornelius Castoriadis, is appropriate for Kondoleon’s story-telling since it suggests something like this relationship and the correspondence which, even on the first level of the story, is already fairly clear. Let us look at it: A literature teacher named Elli, sensitive and cultivated – but with insecurities, as Kostas Georgousopoulos quite correctly pointed out in his introduction and Ada Givalou in her speech at the awarding of the prizes – with insecurities then, vulnerable and for that reason I think likeable, and makes the readers love her – is writing a thesis about the life of her favourite actor Lucas Alexiou, a recent suicide, whose ghostly presence affects even her love life. In her efforts, she seeks the help of two of her pupils, Cleo and Nikita, two young people in love. But the story, as Seferis would have said, is only the pretext. Here the pretext is unravelling the life of the actor, going back in time, and those of the three basic protagonists in a somewhat fragmented way. Thus the narration is a ball of thread like Ariadne’s, three-strand at the beginning and then multi-strand and complex later, that sometimes pulls painfully and at others becomes loose or tangled, or rewinds; but it always leads to a coming of age while at the same time linking together a large number of distant, contradictory characters. As the exploration of the three heroes progresses, the life of the dead actor surfaces gradually in pieces, with sharp fragments that cut. His broken life becomes the connecting link drawing together the lives of the book’s many other characters, as well as shedding light on their depths. Delving into his unbelievably multi-faceted life, they find characters “irretrievably and violently” defunct, such as Alexiou himself and his leading lady who also committed suicide; or non-existent, such his roles, or representations of animals, and for this reason eternal; or even persons of the present, who are wrapped in the mistiness and blur of the past (which are just a few of the many and diverse characters, drawn in completely different ways, who coexist in this canvas of a novel). And here it would perhaps be useful to impose a little order here, by placing these many lively personalities in separate categories, conventional as this may sound, precisely as the likable literature teacher is attempting to do – a heroine who is trying to classify the roles played by the actor, at once the object of her desire and the subject of her dissertation. This is a difficult job because living texts and their living heroes rarely fit into the convenient, ready-made patterns set by theoreticians. So let us just talk about two riverbanks on which we place the characters in the book, according to their relation with time, but also to the way they speak. On one bank are the real, flesh-and-blood characters and things that are attached to the present, rendered in a completely natural way with no effort to prettify, and this, at some moments, betrays their realistic brutality. They speak in ordinary discourse and sometimes use a jargon or social idiom containing vulgarity (the men) or more rarely typical platitudes or formal phrases (the women). We could identify what Bachtin calls multilingualism in the novel. On this bank we’d put the mothers, such as those of Cleo and Nikitas, similar despite their differences, absolutely representative figures who live under stifling conditions, nurturing their vain little dreams, hypocritical, very tense, sometimes counterbalancing their husband’s violence, in an apparently natural way, they hold back their tears, suppress their anxiety and despite their own feelings and good intentions, interfere forcefully and sometimes disastrously in their children’s lives. On the same bank we’d have to place the fathers or adult males. They emit awkward roughness, inelegant directness (let’s talk man-to-man), sometimes violent despotism, and a highly conservative morality focused solely on sexual behaviour, which is sometimes grossly simplistic. And then the young people: fragile, but cynical, initially fortified by their indifference, relentless in their criticism with an eroticism that falters between the ethereal and the earthly. On the other side, we place those deliberately affected figures whose shadow extends into the past. They utter long, pompous speeches in a relationship absolutely appropriate to the representation of their life, which is the theatre. Here we should put the fascinating aging actress Sarah Thalassinou whose appearance in the book is characteristically theatrical, the theatre critic Mavroleon, Thalia Alexiou, tragic mother of the dead actor, but at the same time a figure of sophisticated refinement and shattered power and of course the omnipresent figure of the suicide Lucas Alexiou wearing the costume and mask of Hamlet, Leonardo, Kowalski, Oswald and Oedipus. Between them is the literature teacher who originated on the first bank and is heading toward the second, and the gym teacher, later to become her partner in love, who is unexpectedly but symbolically revealed to have followed the opposite course. And among all these figures are the characters of many secret, transparent threads in which the alert reader, in many and various readings, could discover that bind, e.g. the coarse vulgarity of the real men with the theatricality of Kowalski, or the tragic motherhood of Jocasta or Gertrude with that of Thalia, or even more obscure, with that of the straightforward, proper and interfering mother of Nikitas, while Hamlet extends and magnifies the pain of adolescence. When speaking about Kontoleon’s book Mask on the Moon, we necessarily have to talk about the theatre, and less about poetry – which is not our concern at this moment – since excerpts from the classical theatre and poetry are recorded in the text-context, functioning both to enhance and undermine, as the theory of intertextuality teaches. Before discussing this element, it should be pointed out that the novel Mask on the Moon has a high degree of what Anne Uberfield calls theatricality in the semiotics of daily life, i.e. when totally external things suggest something deeper. Thus details of dress are not at all random, e.g. when the girl began wearing a more feminine pair of pants instead of her jeans. There are revealing but natural changes of scenery, such as the claustrophobic, petty bourgeois living room with the television, the well-furnished consulting rooms of the doctor, as a dignified and neutral place for the two mothers to meet, the old theatre with the mysterious curtain that moves and suggests a mystic presence, whose identity is not revealed until the end of the book, and the mask-fetish itself! Equally as revealing and theatrical is the use of jargon, whether in the form of the coarse language or pretentious, elitist loquacity. We spoke necessarily about the theatre and about intratextual excerpts from plays. Toward the end of the narration, in a marginal soliloquy, Elli the teacher, sleepless one night in the house of Thalia Alexiou where she is a guest, is reading excerpts from Ghosts, consisting of dialogues between the heroes of Ibsen’s play, Mrs Alving and her son Oswald. The lines underscored with red and blue pencil seem to have been marked by the dead actor and his mother respectively and selectively. When Elli reads this text, in a state of high emotion, it is filled with mystic voices and echoes. Together with her own voice we can hear the triangular interpretation, as Bachtin would have said: we can literally hear a polyphony, the voices of people who once existed and have been lost and those who only ever existed in theatrical legend. This scene provides a valuable key to the reading of the book. Manos Kondoleon’s book in general inaugurates a complex genre of literature for young people, open to many readings, extensions and decipherings; it also includes the genre of catharsis with different ways out offered to its initially entrapped heroes. Beyond the maturation of its heroes, this work contributes to, recognises and potentially realises the maturity of young people – and why not adults too? – as readers. And this, in my view, is the greatest profit and the greatest contribution of this book to contemporary young people’s literature. Manos Kondoleon, primarily an author of children’s and young adult’s literature, has to date tried a variety of content and narrative techniques in an impressively rich list of works. 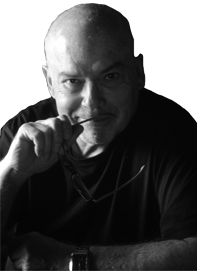 His recent novels have largely been based on polyphonic narration, on various viewpoints, open solutions. In his most recent novel, which is addressed to young adults and adults, he has chosen a traditional form of narration in which a narrator tells the story in the third person, following the viewpoint of the basic characters. The central heroine of the story is Elli Koleti, a young high school Greek literature teacher who, while espousing modern pedagogical viewpoints, is herself still in a plainly emotional and scientific landscape. Having recently emerged from an unhappy love affair, she has decided to pursue her old dream of writing a doctoral dissertation about Diderot’s The Paradox of Acting and its relevance to the case of Lucas Alexiou, who as we shall learn, was a great actor on the Greek stage who committed suicide ten years before the story begins, after a dazzling performance as Oedipus. The presence/absence of Lucas Alexiou thus becomes the source of action in all developments of the novel since the story revolves around his art, his personal life and the people involved in it. They include: Nikitas and Cleo, two students in Koleti’s class in second year of senior secondary school, the school’s young gym teacher with whom Koleti develops a special relationship, as well as the various other people related to the dead actor to whom she will appeal in order to gather information for her research. At the same time, as opponents of the “object” sought by the Koleti are the children’s parents, their classmates and the principal of the school with her old-fashioned views. The young literature teacher’s exploration of her childhood idol, actor Lucas Alexiou, will lead this little group to a quest in the deeper recesses of the theatrical world which, in the case of this particular actor, frequently take on the dimensions of a police investigation, since there were other suicides around the life of the actor (actresses who appeared with him) or seeming murders. In addition, the investigation of his life, as it proceeds, tends to obscure rather than clarify it, since there is a well-hidden secret involved. This secret is symbolised by the strange mask, a mask on the moon, i.e. a mask in the shape of the moon wearing a mask: a mask in perpetuity which corresponds, one might say, to the nature of the theatre itself, since the theatre is nothing but a representation of reality through another non-real reality. Koleti’s personal investigation begins from a working hypothesis that is as simple as it is difficult to prove under the given set of circumstances; this hypothesis is to correlate Diderot’s theories about acting with the acting of the now dead Lucas Alexiou, with the cerebral or emotional interpretation of roles by an actor that she herself had seen on the stage just once, as a child, and bearing the emotional burden of a question impossible to answer, even with the testimonies of others. Moreover, when art is exposed, constituting an object of investigation or even enjoyment, the artist himself is already “dead”. The inexperienced Koleti, being unaware of this principle, essentially becomes involved in an investigation of the actor’s life, satisfying her own desire, her personal redemption. But in this case, the research work becomes myth-making. And this factor, which is brought forward at the end of the novel, when the researcher abandons her doctorate to write a novel based on Alexiou’s life (perhaps the novel that we have just read) is the substantial contribution of Manos Kondoleon’s novel. So does that mean that everything was a failure? Of course not. Lucas Alexiou, as a source of action, functioned as the goal for some people who became associated in a common purpose; they experienced together the fascination and the demythification of the theatrical machinery but, above all, they came in contact with some classical texts of international drama which they incorporated, within the context of the game, into their everyday life. This intertextual function of the text brings forth another realisation, that of the enrichment, especially of the young reader, through acquaintance with excerpts from Ghosts, Streetcar named Desire, Blood Wedding, from Shakespeare and the ancient Greek tragedians. Manos Kondoleon, having chosen this dialogue between his own text – through his heroes – and the great classics, points the way to dialectical relations between modern writing and that of the past. This is his main intervention in the pedagogical methods which one could first of all draw from this latest novel. It is a text which, behind the traditional form of his narrative action and the stereotyped vehicles, hides his modernism on the ideological and educational level. As in Mask on the Moon. Reading Manos Kondoleon’s most recent novel entitled Mask on the Moon, one justifies everything written by Kostas Georgousopoulos in the preface, i.e. that the writer “contributed to make the pedagogical process – when it is not trapped in patterns and sterile theoretical speculations – nothing less than an initiation ceremony” and that “in this exciting book, in which a fetish, a mask on the moon, is paramount, the experience of initiation leads to the clarity of a redemptive sunrise”. This is then yet another exceptional educational novel by Manos Kondoleon, the only difference being that it surpasses the previous ones in terms of plot, the profoundly worked out structure of the characters and the variety of feelings it provokes. The author undoubtedly has the abilities of an experienced psychologist who has learned the multiple aspects of the adolescent soul and is well aware not only of how to identity problems and particularities, but also how to deal with them. His writings function redemptively, as a king of medicine, having first taken the reader through the trial of co-suffering. 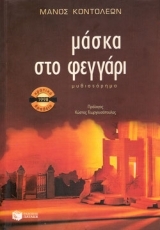 Those who have read Kondoleon’s novel With Data from Personal Interviews (Kastaniotis Editions, 1984 and Patakis 1996), and would like to learn about the development of the then adolescent Lucas Alexiou (who, as the writer informs us, later studied acting) have only to start reading the novel that borrowed its title from a mask, Mask on the Moon, the mysterious mask of actor Lucas Alexiou which became the object of a painstaking inquiry. So if Lucas Alexiou, because his mother did not accept his special nature, is the taboo, then Kostas Georgousopoulos correctly pointed out that the mask is just a totem, a mask in the shape of a moon just before the full moon, which in the hands of its owner takes on animate qualities and becomes his supporter at the moment of his great metamorphoses on stage. Because in the language of symbols, the mask replaces the chrysalis and its transformational properties. It becomes the means through which a person can pass from what he is to that what he would like to be. And it is precisely this property that gives it its magic character, a character one discovers either by studying the ancient theatre and the role of ancient Greek mask or religious masks that were used by peoples in Africa and Oceania in their rituals. However, Lucas Alexiou, even though his story occupies three-quarters of the book, is not the main character of the novel in question, but a parallel hero, the personality which the central characters are called upon to interpret. Two young people, a boy and a girl, trapped by serious problems of communication with their parents, are the main characters in the book. Two adolescents in love who are in danger of being pushed to the sidelines of life. A third heroine, the young people’s literature teacher, is mobilised by the author as Dante’s Beatrice, to draw them into a voyage of extra-curricular knowledge and self-knowledge. Chronologically, the story starts in September at the beginning of the school year, and ends in June with the announcement of the examination results, occupying a school year. The young teacher – at a time when parents and teachers had, through their conservative behaviour, driven the young people to desperation – offers them an opportunity to take part in original research by proposing that they assist her in investigating the subject she has chosen to write as a doctoral thesis: the way in which the actor Lucas Alexiou interpreted his roles and whether or not he confirmed what Diderot claimed in his essay “The Paradox of Acting”. Investigating the life of Lucas Alexiou, reading the theatrical works he played in and studying the roles he acted, the protagonists are enchanted by the magic world of acting and identify with the roles. In their enchantment, which leads to self-knowledge and redemption, they carry the reader along as well who is in turn participating instinctively with the entire process of initiation and redemption as the quest reaches its end and order is restored. Manos Kondoleon is one of those authors for children and young adults who has written many significant books in recent years. Books like The trip that kills, Two of them and another two, No. 33, Dominic, Magic mother, Taste of bitter almonds, Aspasia’s brother, Ghosts in the garret – I doubt that any other author has written so many books in so short a period; of course, each one writes at his or her own pace, and it should also be pointed out that books are not written “easily”. Without implying that quantity is indicative of the value of an author, in the case of Manos Kondoleon, he has achieved the wonderful combination of a large output with enviable quality. Each book of his is a significant literary event because it raises issues of substance, both practical and theoretical. Kondoleon is familiar with both the theoretical principles of literature and international literature, as he has been writing for many years, and in recent years he has been concerned with intrafamily relations and the principal problems of the modern younger generation. For all these reasons, he can justly be described, without overlooking his noteworthy output for adults, as one of the most important writers of modern Greek literature, most of whose books, although they are regarded as being for children or young adults, can be read with pleasure by people of all ages. And it is this contribution to modern theory and research that is related perhaps to a conceptual reassessment of the term “children’s literature”. At the same time, as a writer he has never ceased developing, constantly renewing his stylistic and ideological instruments, moving comfortably and depicting realistic heroes, non-static models, but with a vision, with action whose intertexts start from ancient myths and end up in the modern novel and its structural features, in fact raising additional particular theoretical concerns, related either to the author or the reader. The books of Manos Kondoleon set the reader in motion, as Iser might have said. This is one of the things strongly realised by the reader, in an endless test with time, maturity and personal culture. His most recent book constitutes yet another important step in his writing career. I believe it is his most important book to date. Using his main tools, i.e. his narrative strength, his masterfully staged scenes, his splendid handling of the language, and his knowledge of the social environment, he makes the narration this time more classical with a breathless speed and clarity, language that moves within a wonderful social polyglosia, from the world of young people to those of the family and the theatre. He creates a realistic atmosphere of the modern reality with representative types, on the one hand expressing conservative viewpoints and on the other the quest, the future, of advanced pedagogical practice. The ideology of the work - in which the actions are mutually complementary and the heroes, by the intersection of their own quest with the search for a “utopia”, acquire self-knowledge through the processes of a fantasy theatrical ritual, and the study of death and the meaning of life – has two main components: pedagogical practice and the theatrical function, the function of art. The story is as follows: Two teenagers in love, Cleo and Nikitas, are at loggerheads with their families, owing to the special features of their age. One of their teachers, Elli Koleti, in order to write a doctoral thesis, asks them to help her gather information about the life of a famous actor, Lucas Alexiou, who committed suicide after a performance of an ancient tragedy at Epidaurus in which he played the part of Oedipus. The dissertation is about Diderot’s reflections on the relationship between the actor and art, i.e. whether the interpretation of a play is the result of logic or feeling. And all this, in relation to Lucas Alexiou, a hero already known to the reader from the author’s book With data from personal interviews. The characters in the book move on both a real and fantasy level. The essential protagonists are the literature teacher and the actor. The former, in a highly pedagogical way, brings the two young people out of the morass of despotic paternal power and out of the impasses of their age, and leads them through the magic of theatrical art to self-knowledge. It is there that their love takes on an essential qualitative content. She, like the Leader of the Chorus in antiquity, leads to the solution of her own problem, whether real or metaphysical, by meeting the people with whom Alexiou collaborated, and above all, his mother. There, reality is revealed. Alexiou is a tragic figure. He acted in plays that were always related to the mother figure. He himself had experienced it in a traumatic way. He lived the roles not only on the stage, but in his daily life as well. A mask which looked like the moon and which he used to hold, was in reality the refuge where he hid his most intimate desires that were forbidden by social conventionality. In the fantasy part of the novel, there is an unidentified and thus unacknowledged love relationship of the teacher with Alexiou and his art. The catharsis comes after the revelations, after the mask has “fallen” (suicide of the actor, narration by the mother), with the transformation of her strange love into gradual liberation. The author’s knowledge of the art of theatre is astonishing. He moves comfortably and with the power of the post-myth-maker among difficult characters from global drama: Hamlet, Romeo, Orestes, Electra, Leonardo, and Oedipus. The relationship of these characters with Lucas Alexiou at various periods of his life is recorded with such penetrating psychological insight that you sometimes have the impression you are witnessing a psychological drama and at others a dual love story. In one story alone, the matrix of archetypal symbols is in the principle of the generation of art. This polysemy of the work can be seen from many different viewpoints and is multiplied when you try to interpret the symbols differently in other readings. We spoke above of the main protagonists. It may be that only the two young people are the protagonists. Or only Alexiou, absent from the stage, but eternally present in the thought and actions of all. Or it may be the theatre. Or only the teacher who, through her process of getting to know the actor and the effort to bring about a conscious pedagogical action or the expression of a metaphysical love, is transformed and encounters real love with a young teacher who also knew Alexiou. And all the stages of this transformation are nothing more than a process of creative identity with the theatrical event and the transfer of its revitalising elements to reality. Did the actor himself, through his suicide, put an end to the effects of an Oedipus complex that tormented him – “his life, they say, was a tragedy” wrote Karyotakis in Ideal suicides – or did he, quite consciously by this action want to give new dimensions to his acting art, cultivating his reputation for posterity? Was his mask a fantasy symbol that expressed “his own” thoughts, for himself alone, or was it a key to interpreting what he unconsciously “sent” to the future decipherer of his art? And among all this, the book raises the fundamental question of what is art, re-determining elements of its essence, which are related to its interpretation and verifying its purpose which is the redemption of man, whether Alexiou or the teacher or the children. Even Alexiou’s mother. And each one of us. Finally, the blurred relations between life, love and death are demonstrated in a triumphant as well as tragic way. Why did Alexiou really commit suicide? For life through his art or for life through his death? Or for art and its triumph? This is the relationship between death, art and life. Why did the teacher do everything she could to learn about Alexiou’s real life first hand? Because of life and love through art or through death? Here once again is the relationship between love, death and art. Polysemia of this kind is not found frequently. Such books prove themselves to be classics from the first moment, and thus last over time! Manos Kondoleon, an author with a rich and varied presence in the field of literature, has surprised us with a long novel entitled Mask on the Moon, clever in concept and impressive in action, that was published recently by Patakis Editions. This surprise lies not only in the inventiveness and strength of his writing, but also in his knowledge of theatre education. It would not be an exaggeration to say that, on the occasion of the story he is telling, he “introduces new devils” into the field of theatre education and at the same time, whether consciously or not, proposes a different approach to theatrical texts. The heroes on whom he bases his story are a couple of teenagers in love and their literature teacher. The teacher, morbidly enamored of an actor who killed himself, abandoning his life at the height of his career, uses her two pupils to help her write her doctoral dissertation about the way the dead actor played his roles while at the same time initiating them gradually into the secrets of the theatre. When, after the cobwebs had been brushed off, the mask falls and the dark corners of the past are illuminated by the searchlights of the investigators, the truth, instead of helping, creates dispute and the experiences of the search now give matters a new turn. Everything started out as an exercise on paper, and ended up in a confrontation, with feelings topsy turvy, leaving behind the remains of a tattered love to torture the mind and sustain the memory, like faded pictures in the family album. The initiation into the art of the theatre – aesthetics, viewpoint, identity, approach, quality, charm, pace, light, acting, wisdom, knowledge, life itself which gives up the secrets of the soul after the deciphering of theatrical speech – acquire another dimension in Manos Kondoleon’s text, as the reader is carried along by the power of his writing, and discovers, together with the protagonists of the novel, the hidden parts of himself. An interesting book written with skill and delight by a writer who has proved himself to be familiar not only with theatrical secrets, but also with young people’s problems in our modern society. The people and their relations are sketched well by Kondoleon’s descriptive abilities. The literary re-creation of the author’s experiences, in conjunction with his penetrating eye, gives us a worthwhile text, in which philosophical thought and the understanding of present reality co-exist and go hand in hand with the search for truth, in a clarifying of myth and history, in a spiral journey on the paths of yesterday and the avenues of today. The book is part of the Presences series put out by Patakis Editions and is admirably prefaced by Kostas Georgousopoulos.